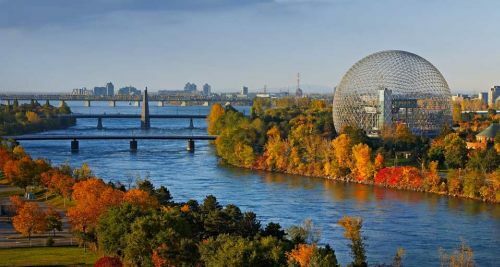 WestJet is showing some significant price drops on their flights from Halifax to Toronto and Montreal, dropping them down to $273 CAD roundtrip including taxes. This is about 35% below the typical best prices between Halifax and Toronto or Montreal. What's even more interesting is that July dates are a part of this drop. WestJet and Air Canada do not typically like to drop their prices for summer travel. mid to late-May, June, and July 2016. 2. Search for a flight from Halifax (YHZ) to Toronto (YYZ) or Montreal (YUL). Start by searching for any dates in late May, June or July 2016. Once the search completes, have a look at the 'Alternate Date Options' box near the top. In this box, look for dates that cost $149 CAD on the way there, and $141 CAD on the way back. 3. Try searching on Flight Network again, using the dates you found above. halifax, yhz, flight deals, westjet, ontario, canada, toronto, yyz, montreal, quebec, yul and north america. 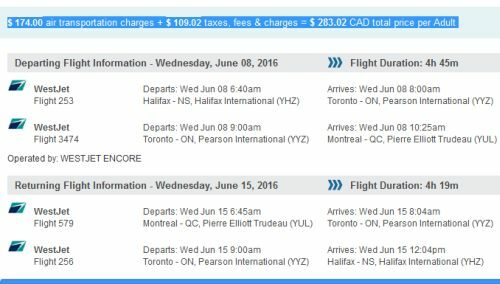 One Response to "Halifax to Toronto or Montreal - $273 CAD roundtrip including taxes | summer travel"
It says late May, June or July but when I put my dates in for July 21-25, the cost is 459$ , how is that 273$ return?